It is that time of the year again when many of us make our New Year’s resolutions. If your resolution this year is to lose some weight, get in shape, or to tackle your health, nutrition, or fitness goals, then I encourage you to look at it in a new way! Instead of worrying about the numbers on the scale, what if we focus on our health first? What if you could heal your digestive problems, clear brain fog, lift the clouds of anxiety and depression, decrease inflammation and pain, improve or reverse the chronic disease that you have been dealing with for years, and regain your energy back? Food is medicine. What we put into our mouth directly affects our energy levels, our vitality, our longevity, and our overall quality of life. The kind of foods we eat plays a critical role in how we feel and how our bodies function. So instead of making your food choices in terms of just calories, I encourage you to look at food as a source of varied nutrients and a powerful tool against chronic diseases! 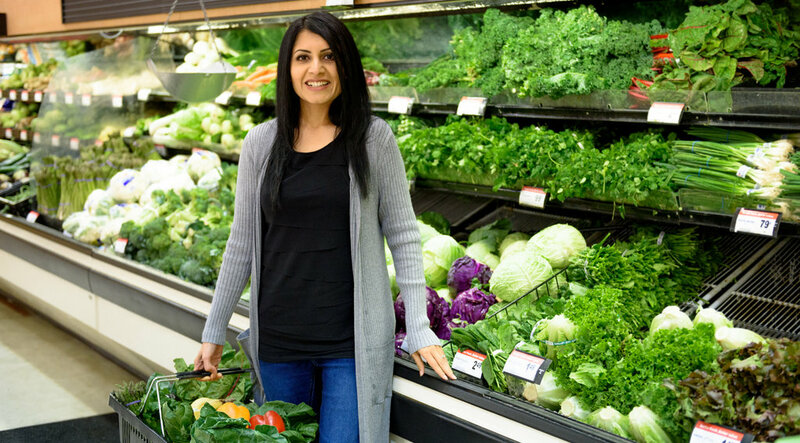 If you have been frustrated with different diets without much success, remember it is a lifestyle change, NOT a crash “diet” that gives you sustained results. As a matter of fact, most new diets only last a few weeks and trying to do too much too quickly is a recipe for failure. It’s taken years to get to where you are with your weight or a health issues, you’re NOT going to fix them in a matter of a few weeks. Instead of making several drastic changes all at once, choose to overcome one behavioral change at a time. And in the process, remember to be kind to yourself! 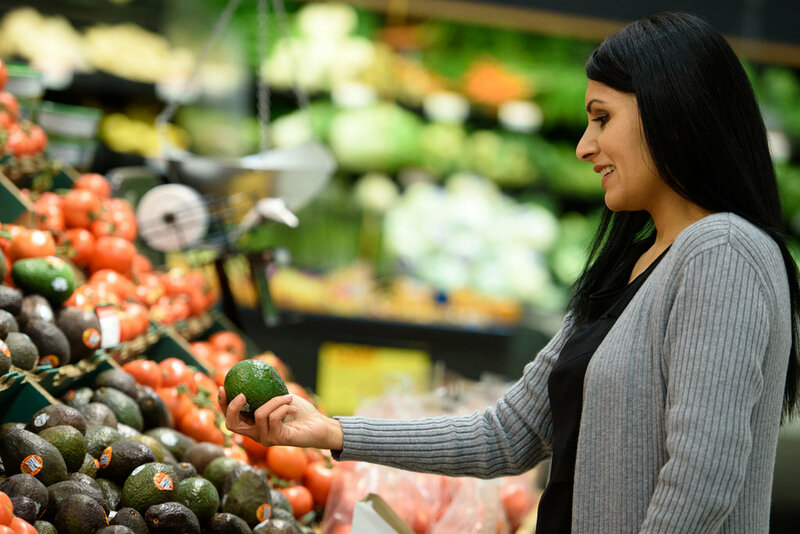 Nourish your body with the “whole” foods that are healing, instead of restricting calories and relying on numbers or rules. Wishing all of you happy and healthy 2019! The beauty industry is a multi-billion dollar industry as people spend tons of money on beauty products to look younger, radiant, and beautiful. I get asked on a frequent basis, “which cream/lotion/shampoo do you recommend for radiant skin, shiny hair, and strong nails.” The truth is that glowing skin, glossy hair, and strong nails don’t just come from bottles or jars. Most lotions and potions that claim to make you look years younger are oftentimes loaded with harsh chemicals and hormones, that eventually make it into the body causing hormone dysregulation and negative health outcomes. Many of those over-the-counter products especially those that say “wrinkle-free”, “wrinkle-removing”, “face lift in a bottle”, “going to look beautiful forever” kinds of creams – almost all of those have some type of hormone in them. When it comes to beauty, most people think of it as something separate from health. Our skin, hair, and nails are connected to our bodies – whatever is good for our bodies is also good for beauty. We have to nourish our skin, hair, and nails from within, with a diet rich in beauty supportive nutrients from whole foods. 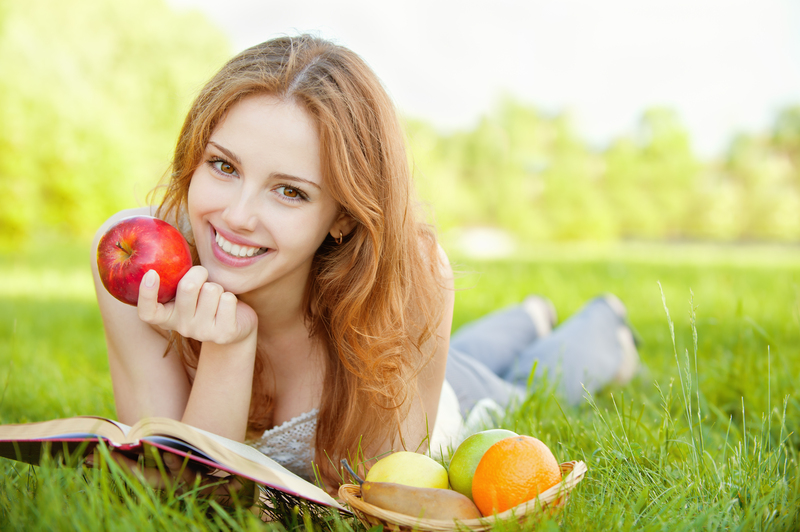 Which nutrients are needed for beautiful skin, hair, and nails? These 8 foods are full of radiance-boosting vitamins and minerals that help maintain healthy skin, hair, and nails, as well as reverse or slow the signs of early aging. High in vitamin C and K, this super-food can help with uneven skin tone as well as help dark under eye circles, both when consume internally and applied topically. 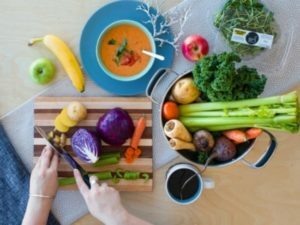 Vegetables in this class such as broccoli, cabbage, cauliflower, kale, brussel sprouts, and bok choy promote liver detoxification, resulting in bright radiant skin as well as help with dark circles and under eye bags. High in zinc and copper, this super food helps develop collagen and elastin to keep skin supple and firm. Copper also promotes production of hyaluronic acid, a fluid that makes skin look fuller and plumper. Zinc in pumpkin seeds help strengthen hair and nails and help with premature hair loss. Rich in compounds called fucoxanthins, protects the skin from early aging, and prevents wrinkle formation. Seaweed is also rich in minerals that encourage hair and nails growth. Contains salica, a trace mineral that keeps hair and nails strong. 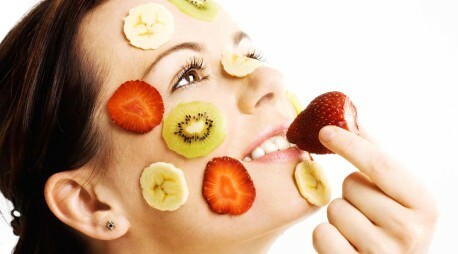 It also improves skin elasticity and protects the skin from oxidative damage. Beef liver has one of the highest levels of vitamin A and biotin. Vitamin A is an antioxidant essential for skin health, and deficiency in which can cause poor complexion, acne, and large pores. Biotin helps improve skin appearance because it plays a major part in maintaining the health of our hair, nails and skin. Rich in collagen, a primary building block for skin, and gelatin, important for the process of renewing skin cells, this food can help with wrinkles, sun damage, stretch marks, saggy skin, fine lines and other signs of aging. Your hair, skin, and nails are a reflection of your inner health and wellness. Aside from lifestyle and genetics, what you eat and drink plays a critical role in the health of your hair, skin, and nails. Instead of applying expensive topical products on your skin, it would be more effective to first address the root cause of your symptoms. The best-kept secrets to beauty are not in a beauty shop or a makeup store – they are sitting right there in your kitchen! Do you use antiperspirant/deodorant on daily basis? Most people would say “yes”. Of course, you don’t want to smell like onions, and garlic – which is pretty understandable! What most people don’t realize that in an attempt to smell fresh and adhere to social norms, they are subjecting themselves to unwanted harm! This seemingly safe daily routine can have serious health consequences. Did you know that most underarm antiperspirants/deodorants contain harmful chemicals which are linked to wide range of health problems including, hormonal imbalance, breast cancer, and Alzheimer’s? What you apply on top of your skin makes its way into your body. Especially when you wax or shave underarms, applying a product containing these harmful chemicals to that broken skin could be a bad news! Majority of deodorants found at your local pharmacy or health and beauty stores have harmful ingredients that we must avoid. Here are the 5 harmful ingredients in your deodorant that you should avoid. Parabens are commonly used as a preservative to prevent bacteria growth in cosmetic products. Parabens act as hormone disruptor in the body and have been linked to breast cancer and reproductive issues. Aluminum compounds are used in the antiperspirant to clog pores and prevent sweating. Some research has suggested that these aluminum compounds get absorbed through the skin and increase a risk of estrogen dependent cancers. An antibacterial agent which kills bad as well as good bacteria. Triclosan is a pesticide and a potentially carcinogen and is linked with host of health problems including skin irritation, resistant infections, as well as cancer. With daily use, this neurotoxin can accumulate and potentially cause damage to liver, kidneys, and central nervous system. Triethanolamine (TEA) and diethanolamine (DEA) are known toxins and carcinogen that are banned in other parts of the world. These chemicals can get absorbed into the body and adversely affect your liver and kidneys. What are the other safe and effective options? This deodorant is made from crystallized natural mineral salts which kill odor causing bacteria and contains no harmful chemicals, oils, perfumes, or emulsifiers. This product is unscented, hypoallergenic, and works for solid 8 hours! Another great and simple DIY trick I have found extremely effective is the mixture of apple cider vinegar (ACV) and water. Mix ACV with water in equal ratio in a spray bottle. Spray the solution on a cotton ball and wipe underarms. This solution completely eliminates body odor and keeps armpits odor free for 24 hours! For those of you who sweat profusely and suffer with a strong body odor should try this mask once a week. 1 tbsp Bentonite clay or fuller’s earth, 1 tsp ACV, 2 drops of tea tree oil, and sufficient water to make a thick paste. Apply the paste underarms, let it dry for about 15-20 minutes, and wash off with water. This mask is extremely effective is controlling the excessive sweating and keeping the body odor at bay. Your daily personal care and hygiene routine doesn’t have to take a toll on your health. And it certainly doesn’t have to be complicated, expensive, or difficult. There are plenty of options available to make your life easier and your health better! Once upon a blogpost, our writers ripped the mask of a silent medical enemy and dragged its face into the unflattering limelight. We acquainted you with adrenal fatigue. Perhaps you encountered that name in fleeting conversation, or while flitting from the doctor’s office to your car—someone you know is battling this enemy and you’re wondering how they’re doing it. You’re wondering, does adrenal fatigue even exist? Or is it some hyperbolic form of laziness and unrestrained gluttony draped as a diagnosable health condition? Adrenal fatigue is, in actuality, much more than a mediocre lifestyle; it’s when our adrenal glands crash and collapse beneath ongoing, compounding stressors, compromising our body’s healthy production of stress-fighting hormones; it’s when the good guys lose to the bad guys and we’re left catching our breath behind the darkest alleys of life. Adrenal fatigue is real and it’s not pretty. So why don’t several medical doctors recognize adrenal fatigue as a serious diagnosis? What is the best way to test for Adrenal fatigue? What is superior to blood tests, measures your cortisol levels several times a day, and is often accompanied by a “stick out your tongue and say ahh”? Saliva tests. The results from these tests are like a log mapping your 24-hour hormone-secretion cycle. The functional and integrative medicine practitioners who make use of these tests collect your spit in vials at four points during the day to track your cell tissues’ hormone levels, enabling them to correlate your physical symptoms with medical data. More accuracy and no finger pricks required—how’s that for a medical hack? How do you reverse fatigue and restore adrenal function? Eliminate or minimize toxicity in your relationships. Resolve ongoing conflicts with the people in your life whom you love. Kindly set boundaries with negative/angry family members whose company is inevitable. Unfollow and/or unfriend accounts on your social media feeds whose messages, attitudes, and comments serve no purpose but to spread negativity. Build your social circle with kind, caring, and respectful individuals (even if that means making new friends!). #2 Clock in some beauty sleep! Commit to a relaxing activity before bed (yoga, meditation, praying, and stretching all help quiet your mind and prime your body for a good night’s rest). Keep your coffee and caffeinated tea breaks before 2 p.m.; anything after will disrupt your body’s circadian rhythm. #3 Healing foods for your body and soul. Eat small meals often. Symptoms of adrenal fatigue spike when patients skip a meal or forgo eating for an extended number of hours. Decorate your plate with rainbow-colored food for optimal nutrition. When planning your meals, alternate between a variety of lean protein (mostly plant-based with the occasional sustainably-sourced meat), complex carbs with a low glycemic index (quinoa, brown rice, potato medleys, whole wheat, beans, and legumes—all of which keep your blood sugar levels steady and release a constant flow of energy), healthy fats (avocados, olives/olive oil, nuts and seeds), and organic produce. Consume more salt. Fatigued adrenal glands trigger low sodium levels and low aldosterone production, leaving patients craving salt like it’s nobody’s business. So eat salty! Don’t worry about the risk of high blood pressure; that doesn’t apply with adrenal fatigue (but feel free to wear a blood pressure monitor for good measure). If anything, an extra dash of salt on every dish is both essential and therapeutic to your adrenal recovery. 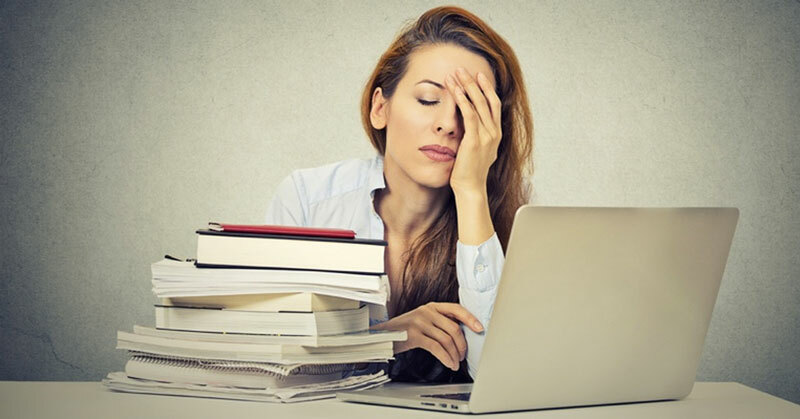 If adrenal fatigue is your current reality, know this: restoring your adrenal glands won’t happen overnight, just as they didn’t crash overnight. Be patient when making these changes; lifestyle medicine takes time. The feelings of rejuvenation, a good night’s sleep, and endless motivation to tackle your biggest, wildest dreams are just around the corner. As always, we’re rooting for you along the way. Missed part one of this blogpost? Learn more about Adrenal Fatigue here. Every so often, one of us encounters an enemy that locks us into complete paralysis. E-mail messages go unchecked, laundry stacks to the height of Everest, and personal relationships shrivel like leaves beneath a merciless breeze. It’s a silent enemy, leaving behind no physical side effects (except many empty coffee cups and energy drinks to help you reach Bare Minimum Adult Functionality). Your doctor assures you that all of your lab results are normal; medically, there’s nothing wrong with you. But you know, from the bottom of your tired and weary heart, that something is wrong… Your sinuses are flaring on a cool winter day (but doctor, I don’t even have allergies). Out of nowhere, pickles, Saltine crackers, and sushi rolls doused in soy sauce surge to your Top Three Foods list (what is happening to my taste buds?!). There’s something else disrupting your groove: bathroom breaks, which are inconveniently happening every hour (c’mon doc, what digs?). This story, like all medical stories, begins with a tragedy. Somewhere in your body, an ecosystem of organs and parts suffers an imbalance that leaves its members malfunctioning. The ecosystem in today’s conversation is the adrenal glands. Perched above your kidneys are these small glands whose sole purpose of existence is to produce hormones: cortisol, your body’s built-in alarm system and blood-pressure-regulator; adrenaline, your body’s boxing gloves and running shoes in high stress situations; aldosterone, your body’s traffic control center for sodium, potassium, and blood flow. Each of these hormones, as well as many others, is essential to your functioning and critical for your survival. And when their production is compromised, you’re left depleted and depressed, hobbling through life’s lowest hurdles like an injured race horse. Little tasks, like meeting a work deadline or paying your bills on time, become monstrous pressures. In layman terms, you’re burnt out. Coping and responding to life’s stressors is easier when your adrenal glands are functioning at full capacity. They begin to fatigue, however, when that stress continues chronically and compactfully, giving you no room to rest. Picture this scenario: you came down with a case of bronchitis that eventually evolved into pneumonia. As you’re driving to your next doctor’s appointment, you’re rear-ended in highway traffic and spend what should be your recovery time making a police statement, calling your insurance agent, and visiting the auto repair shop for a claim estimate. You trudge along, coughing into your shirt sleeve, wondering what other misfortune is looming on the horizon. These are just the foreground events, major plot twists in the tragedy of your life; the background noise discloses a second layer of drama: a stressful job, an unhappy marriage, ongoing sleep deprivation, poor eating habits, failing friendships, and the loneliness that often accompanies middle age. Your adrenal glands struggle to catch up with these stressors, no matter how much more hormones they produce. Like yourself, they burn out and are no longer able to meet the body’s demands. Perhaps our lives aren’t simply a string of tragedies. Perhaps we are healthy and well in our pursuit of a good life. There is no denying, however, that even the healthiest and happiest of us are products of the 21st century Western lifestyle. In our frittered good will, we pack our schedules with long work hours (we need the money) and graduate school (what’s a bachelor’s degree worth now, anyway?) and family obligations (let me just swing by my sister’s; I haven’t seen my nieces and nephews in weeks) and parenting (my daughter needs to be in sports and piano lessons, just like everyone else her age) and volunteering (gotta give back to the community!) and so-and-so’s dinner and so-and-so’s son’s birthday party and so-and-so’s social justice awareness event… “Chipotle for dinner okay with everyone?” you ask from the driver’s seat, remembering that you haven’t cooked for the fifth day in a row. We are all chained to demands far beyond our capacity, and unfortunately, the very system designed to handle these demands suffers as a consequence. With too much unmanaged stress, our hormone-producing glands clash and we suffer from adrenal fatigue. So why do many doctors refuse to recognize adrenal fatigue as a real problem? That is a question for next week’s blog! When the conversation continues… Read Part II here. There is a new food superpower in our midst, and it has gained ranking for its superb antioxidant properties: Chaga mushrooms. With a mix of charcoal and gold hues, these mushrooms slag and sprawl like infected meteorites on the backs of dead birch trees. They are powerful, parasitic, and (almost) as promising as Wakanda’s Vibranium. …except you can’t make an epic suit out of it. But with the innate properties of Chaga mushrooms, you won’t need to. Research shows that this fungus contains promising health benefits for people of all ages. Its high antioxidant content makes it superior to its line of competitors, such as blueberries, pomegranates, acai, and their likes. I’m going to get a bit personal now. Although I’m a pharmacist and functional medicine practitioner, I, too, like to live life on the edge. I indulged in some reading recently—just a casual afternoon cuddling with research studies and medical journals—and shortly thereafter, I decided to commit to Chaga mushrooms, once and for all. So I woke up the next morning, dumped my regular smoothie, and settled with a cozy cup of Chaga mushroom tea. My first sip brought with it a whiff of familiarity. I know this taste. It was like the shy little sister of bold black tea: humble, mute, and vaguely visible. I sipped some more. Twenty minutes later, I found myself busting into my running shoes and bursting out my front door. Something felt different. A transformation occurred—like I had morphed from a suburban, mother-of-two pharmacist and into an unstoppable Wakandan warrior. I must wear out this energy! I ran for miles and miles, hours on end, until my feet met a previously unpursued path. I had never run that far before, but I continued anyway. And when I returned home, my newfound endurance carried me through more weight lifting and into a work day with utmost mental clarity. It was a beautiful sensation. That effect—that energy boost, that unabated agility, or whatever you want to call it—lasted for days. 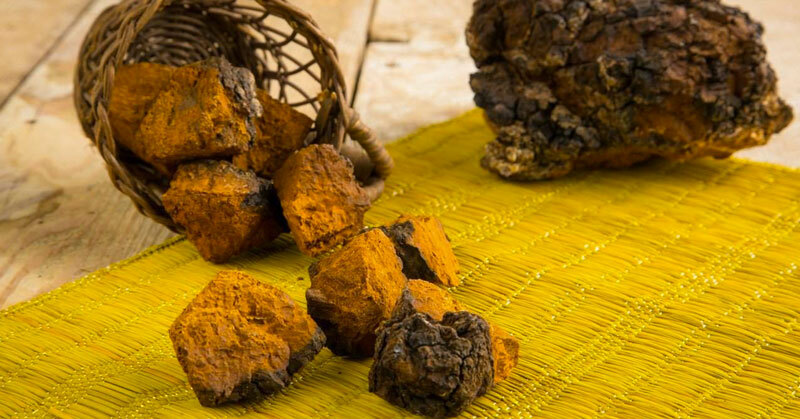 What exactly is Chaga Mushroom? In two words: a fungus. It’s not the prettiest plant in the woods, but what a Chaga mushroom lacks in outer beauty, it makes up in medicinal aptitude. Chaga mushrooms have one of the highest Oxygen Radical Absorbent Capacity (ORAC) scores of any food, which speaks to their ability to protect the body from aging and fight disease-causing free radicals. Hmm, maybe they are just as good as Vibranium, after all? What are some of Chaga Mushrooms’ superpowers? How do you consume this superfood? You don’t need to be a Kimberly Snyder or a Dr. Mark Hyman to whip up a Chaga-infused concoction. The method is simple. Add two to three chunks of Chaga mushrooms to one to two quarts of water in a slow cooker/crock pot. Set the mixture on low and cover the pot while the mixture steeps for up to 12 hours. Drink it hot or chilled, as a base for flavored tea, coffee, or your favorite fruit smoothie. There are no rules! Chaga mushrooms are versatile enough to be bent to your preference, so be creative. For the little ones, blend half a cup of Chaga mushroom tea with ice and honey and serve! The kiddos will absolutely love it. If you do give this superpower a chance, like I did, please share your experience with me in the comments below! I would love to hear all about it. Here’s a brand I really recommend. 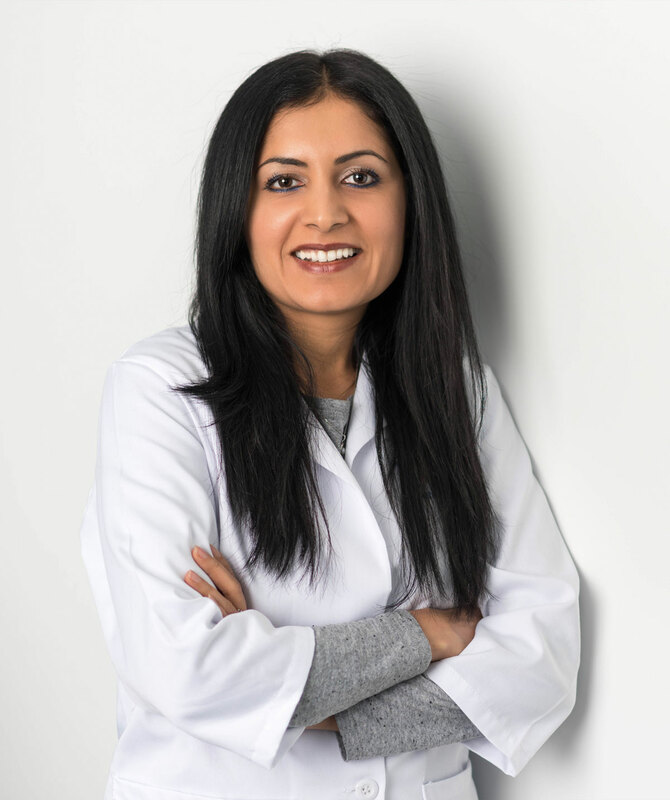 Dr. Batool Dawood, Pharm.D, CFMP is the founder and CEO of Enaya, LLC. She’s a board certified pharmacist in the state of Minnesota and a University of Minnesota graduate. She has her post doctorate education and training in Functional Medicine and Clinical Nutrition through the Institute for Functional Medicine and Functional Medicine University. Welcome to the Enaya Community! To receive promotions, free resources, weekly newsletters, and a calendar of our upcoming events, please fill out your information below. Thank you!